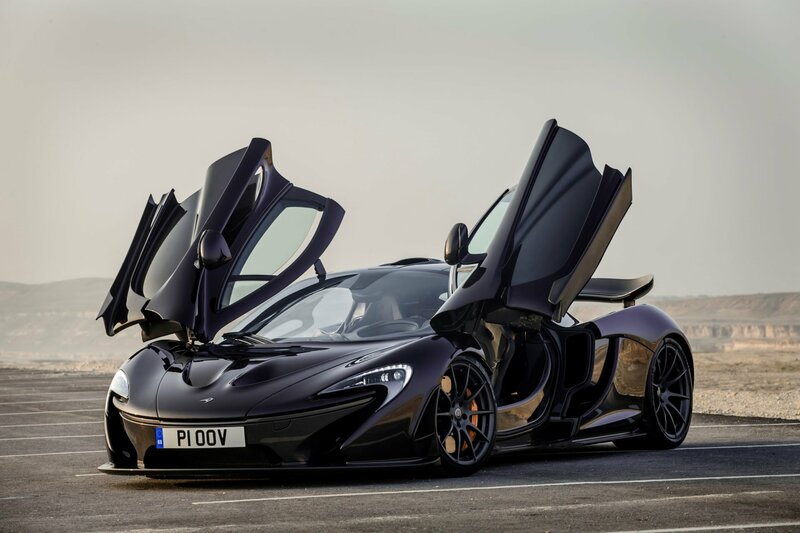 The astonishing McLaren P1™, which debuted in production form in March 2013 at the Geneva Motor Show, had a clear goal – to be the best driver’s car in the world on road and track. To achieve this objective, McLaren used all its 50 years of racing experience and success, especially in the fields of aerodynamics and lightweight carbon fibre technology. The result was a car with an unprecedented amount of downforce for a road vehicle; levels similar to a GT3 racing car and yet with even greater ground effect. This downforce not only boosts cornering and braking performance, it also helps balance, stability and driveability at all speeds. McLaren introduced the carbon fibre chassis to the world of Formula 1 in 1981 with the MP4/1, and had the first carbon-bodied road car in the McLaren F1. Always at the forefront of vehicle aerodynamics, McLaren raised the supercar performance bar in the 1990s with the F1; with the McLaren P1™, it redefined it once again. To live up to its design brief of being the best driver’s car in the world, the McLaren P1™ had to have exceptional straight-line performance and instant throttle response. To deliver this, it uses an innovative IPAS petrol-electric powertrain comprising a McLaren 3.8-litre twin-turbo V8 petrol engine, coupled to a single electric motor. Collectively known as M838TQ, the combined power output is 916PS (903bhp). 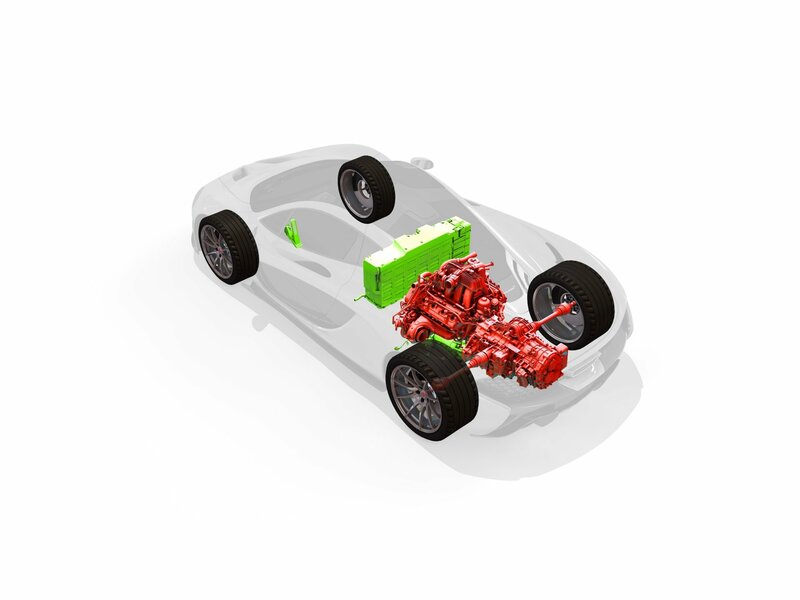 As important as absolute power is the electric motor’s ability to provide instant torque, making the powertrain superbly responsive. It is also amazingly efficient. 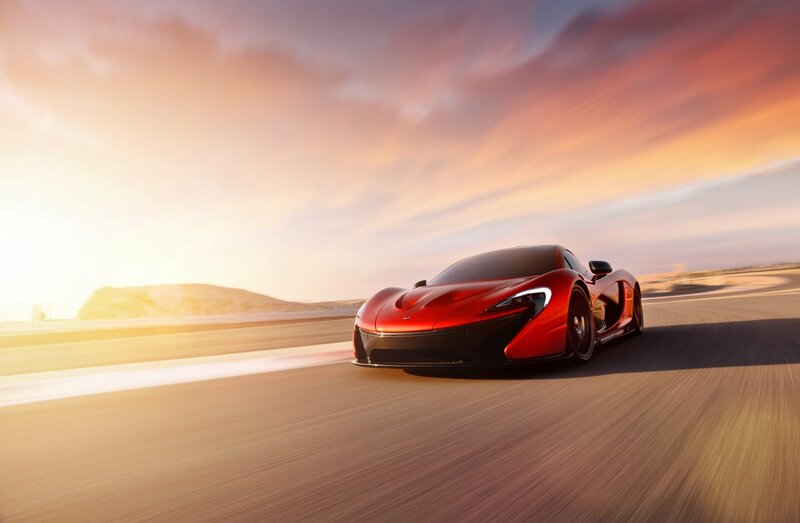 The McLaren P1™ returns 34.0mpg (8.3 l/100km) on the EU combined cycle, with CO2 emissions of 194 g/km. The electric motor offers a range of more than 10km (6.8 miles) in full electric mode on the NEDC cycle, with emissions dropping to zero. Maximum speed is electronically limited to 350km/h (217mph), with 0-100km/h (62mph) standing start acceleration taking just 2.8 seconds. The McLaren P1™ will power from rest to 200km/h in 6.8 seconds, and on to 300km/h in 16.5 seconds – a full 5.5 seconds quicker than the McLaren F1. 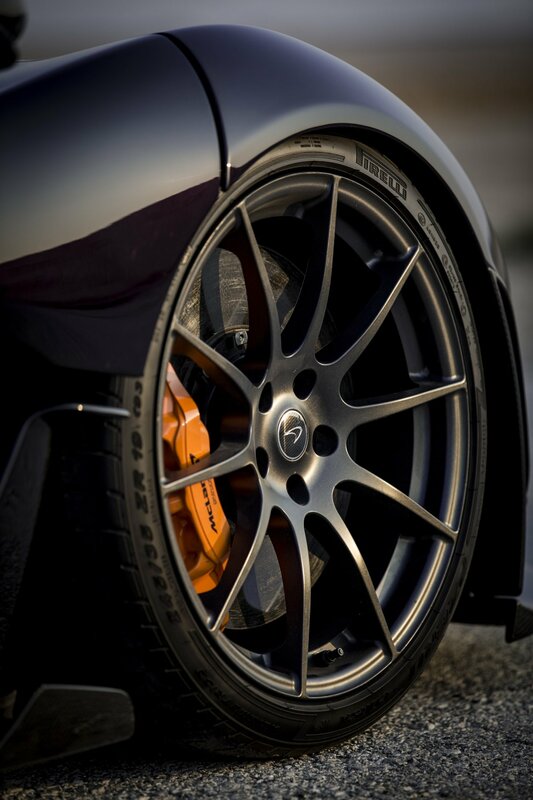 The braking figures for the McLaren P1™ are equally as impressive, a bespoke Akebono system with specially formulated, carbon ceramic discs coated in silicon carbide able to bring the McLaren P1™ to a halt from 100km/h (62mph) in just 30.2 metres. 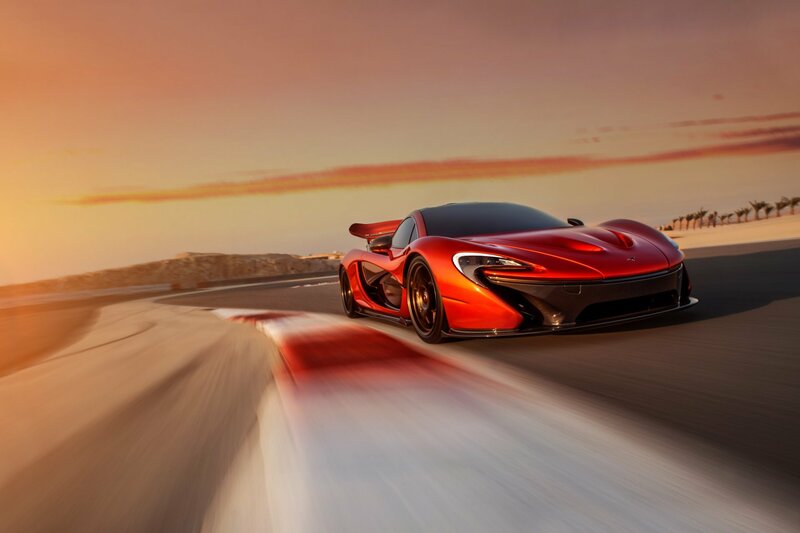 The advanced technologies developed for the McLaren P1™ included active aerodynamics and adjustable suspension – both banned in Formula 1 by 2013, due to being seen to give too great a performance advantage. Airflow is optimised around the body using an active wing and underbody devices; the adjustable rear wing can extend from the bodywork by 120mm on road and up to 300mm on the race track, maximising downforce. The wing is directly inspired by Formula 1 design, with the intersection of the double element rear wing and design of the endplates being the same as that on the 2008 championship winning McLaren MP4-23. 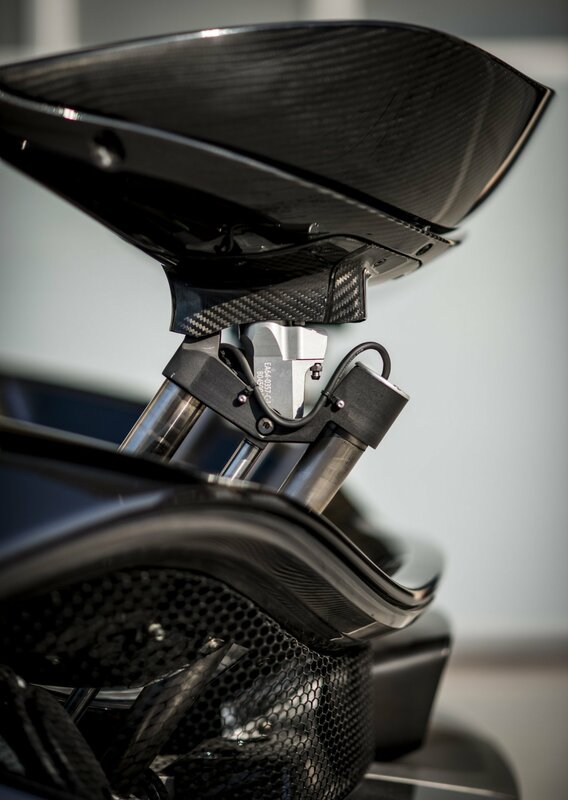 In addition, the McLaren P1™ also features adjustable ride height as part of its hydro-pneumatic suspension. The RaceActive Chassis Control (RCC) can lower the car by 50mm in Race mode, to produce ground effect aerodynamics. 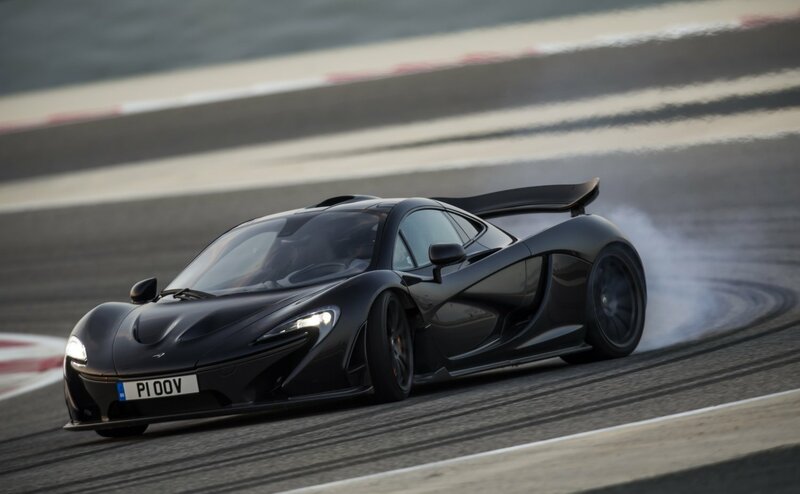 It also features adaptive spring rates, roll control, pitch control and damping, all providing a huge range of adjustment, making the McLaren P1™ perfect for either road or track. 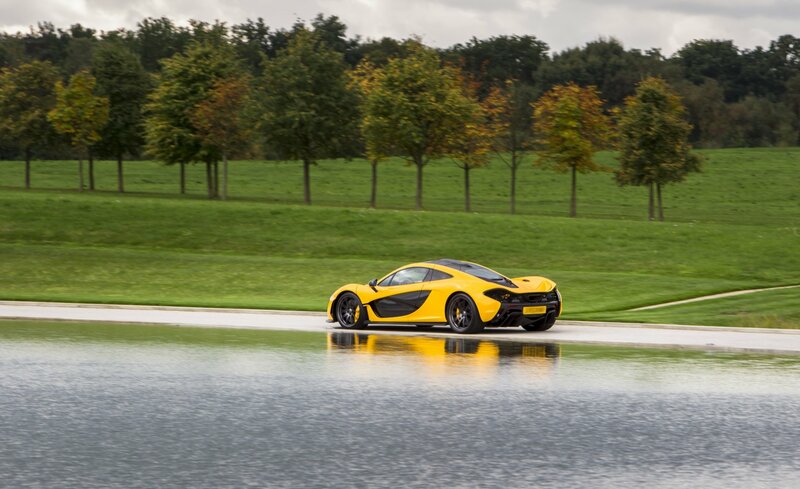 In Race mode, the spring rates stiffen by 300 per cent, allowing the McLaren P1™ to corner at more than 2g. 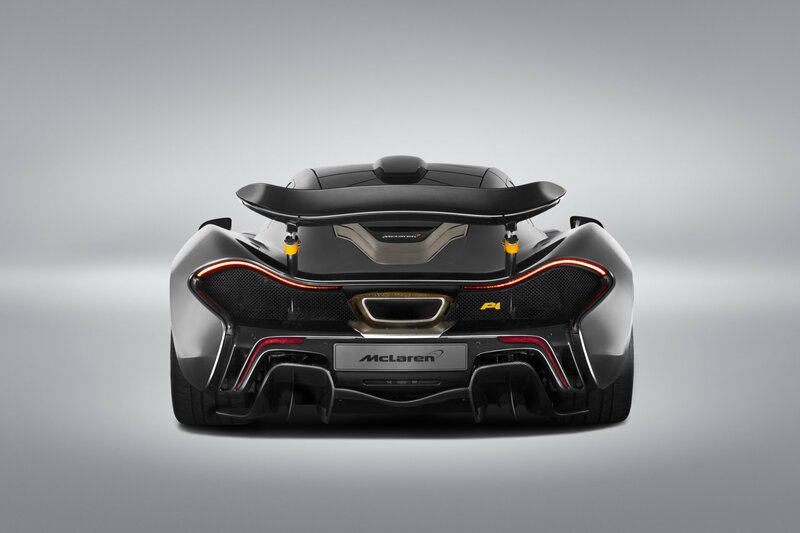 Formula 1-inspired technology permeates the McLaren P1™. The revolutionary carbon fibre MonoCage monocoque forms a complete structure that incorporates the vehicle’s roof and distinctive ‘snorkel’ air intake – a styling feature inspired by the McLaren F1 road car. 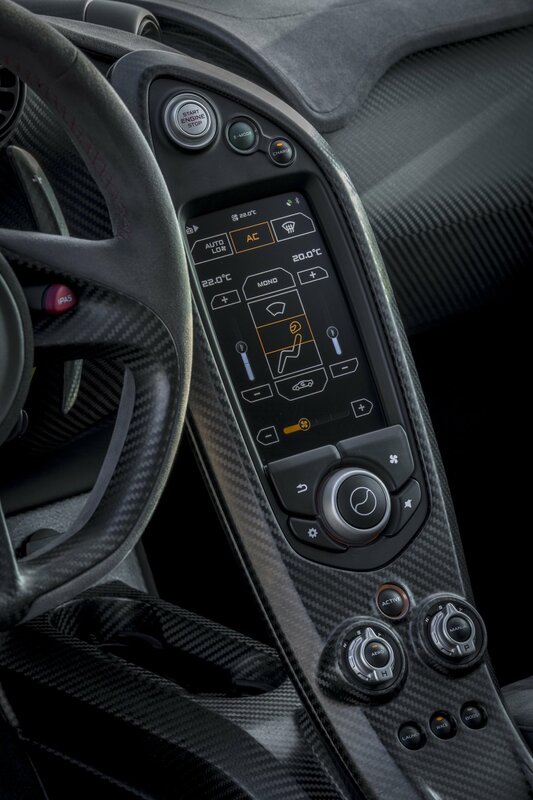 McLaren is an acknowledged world leader in carbon fibre technology. The material offers lightness, strength and rigidity – improving performance, safety, handling, agility, durability, efficiency and ride comfort. The body panels of the McLaren P1™ are made from lightweight yet strong carbon composite, with their complex shapes tuned for optimal aerodynamics. 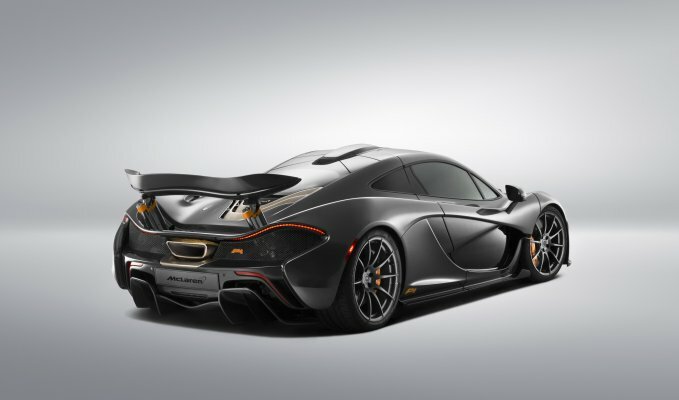 The McLaren P1™ was designed from the outset to prioritise aerodynamic performance – just like a Formula 1 car. As with a Formula 1 car, wind tunnel testing and CFD (computational fluid dynamics) aerodynamic modelling were used to optimise the aerodynamic flow for both incredible levels of downforce powertrain cooling. The resulting 600kg of downforce in Race mode at well below maximum speed (257km/h / 161mph) is considerably higher than most other comparable high performance supercars and in line with the levels of downforce generated by a GT3 racing car of the same era. This downforce improves cornering ability, especially in high speed corners, and the overall balance, agility and controllability of the McLaren P1™ are all outstanding. Other areas of Formula 1 technology evident on the McLaren P1™ include the highly efficient IPAS (Instant Power Assist System) which is a development of the KERS (Kinetic Energy Recovery System) used on Formula 1 cars, while DRS (Drag Reduction System) is also used on the McLaren P1™, giving extra power and straight-line speed both at the touch of a button. The car is equipped with revolutionary layered carbon ceramic brakes developed for the road by Akebono, as well as Brake Steer – another outlawed Formula 1 technology that improves cornering behaviour and increases cornering speed. 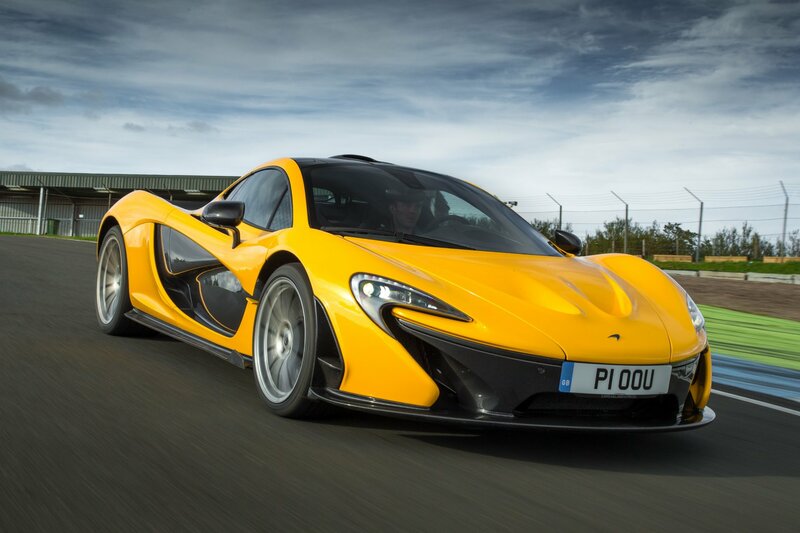 The name of the McLaren P1™ is itself inspired by Formula 1, ‘P1’ referring to ‘first place’ or ‘position one’. There is also a heritage link: the McLaren F1 was initially known internally within McLaren as Project 1, or simply, P1. The McLaren P1™ was designed to be driven to a racing circuit as a refined and comfortable high-speed supercar, before being used on the circuit to offer an experience matched only by purpose-built race cars. 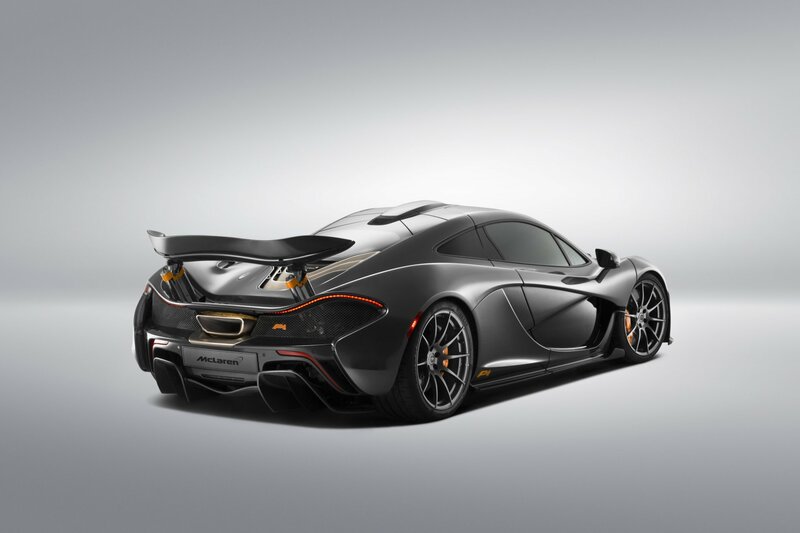 Those fortunate enough to secure ownership of a McLaren P1™ joined an exclusive club, McLaren having kept production to the 375 road cars that it announced when the car was launched.